This pousada offers mountain views, an indoor swimming pool, a sauna and free Wi-Fi. 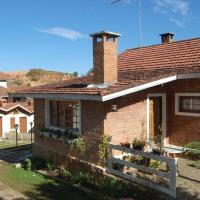 Located in the mountains of Serra da Mantiqueira, 1 km from Monte Verde tourist centre. Accommodation at Pousada Morada das Nuvens is luxuriously decorated, featuring a cosy fireplace, LCD cable TV and a private balcony with panoramic views. Some rooms include a jacuzzi. Guests can enjoy an extensive breakfast buffet with a variety of fruits, juices and homemade breads and cakes. Room service is optional as well. Morada da Nuvens is situated at an altitude of 1700 metres and near the entrance of alternative trails to Pico do Selado, one of the famous tourist points of interest. Private parking is possible. L'Amanita Estalagem est situé dans le site de montagne pittoresque de Monte Verde, à 1 700 mètres d'altitude. Il dispose de chalets dotés d'un balcon, d'une cheminée, d'un bain à remous, ainsi que d'une connexion Wi-Fi et d'un parking gratuits. Ses chalets spacieux comprennent tous une télévision, un minibar et un téléphone. Ils sont équipés d'un lit king-size, de linge de maison de qualité et de couvertures chauffantes. Lors de votre séjour, vous pourrez vous détendre dans le bain à remous de la terrasse panoramique. Vous apprécierez également le petit-déjeuner composé de spécialités locales telles que de la confiture maison, des gâteaux et du pain au fromage. Entourée par les magnifiques montagnes de la serra da Mantiqueira, l'auberge se trouve à proximité de l'avenue Monte Verde. La ville de Camanducaia est à 30 km de l'établissement. Cabeça de Boi is situated in a quiet area surrounded by forests and mountains, 1.5 km from Monte Verde´s centre. It offers rooms and chalets with balcony and free Wi-Fi. Rooms and chalets at Hotel Cabeça de Boi all have park views. They are equipped with cable TV. The standard rooms also include a DVD player. The chalets have a fireplace and a living room. Guests can play a tennis match at the court. There is a lake that offers fishing and water paddles and different hiking trails lead through the area. Children can be entertained at the play ground, play mini golf or table tennis. Guests are invited for a complimentary breakfast. During lunch, regional dishes are served. For dinner guests can enjoy a cheese or chocolate fondue with fruits at candle light. Free parking is possible on site. The hotel is located 2 km from Monte Verde Airport. Pousada Villa do Sol is a pleasant chalet offering lodge-style accommodations with free Wi-Fi. It is situated on the Mentiqueira summit, only 1.3 km from the centre of Monte Verde. The pleasant rooms at the Pousada Villa do Sol have wooden décor and furnishings. All are equipped with a fireplace and cable TV and have private balconies with scenic views. Larger suites have a fully equipped kitchen. Guests can benefit from a daily breakfast buffet which serves regional specialties. For dining options, the town of Monte Verde offers a range of restaurants and bars. In the scenic region of Monte Verde, the Aguia Dourada is a Swiss chalet-style hotel offering private wooden lodges. Services include 2 swimming pools, a sauna and a spa. The spacious chalets at the Pousada Aguia Dourada have cozy fireplaces and private porches with hammocks. All have a TV, minibar and DVD player. The hotel´s deluxe apartments have a private jacuzzi. Guests at the Pousada Aguia Dourada can enjoy fondue and trout at the hotel´s restaurant. A daily breakfast buffet with tropical fruits, juices and pastries is available daily. Peacefully located, the Pousada Caricia is surrounded by the forests of scenic Monte Verde. If offers spacious suites with fireplaces, a wellness spa and an outdoor pool with a lounge. Rooms at the Caricia do Vento have lodge style interiors with queen size beds. All are equipped with an LCD TV and DVD player, an additional sofa bed and free Wi-Fi. Guests at the Pousada Pousada Caricia can enjoy a daily breakfast buffet with fresh juices, cakes and cold cuts. The hotel also features an onsite restaurant and bar. The hotel is conveniently located only 600 metres from the centre of Monte Verde, which offers several additional dining and leisure options. Free private parking is provided. Hotel Meissner-Hof offers accommodation located 900 metres from downtown Monte Verde. It features an indoor and outdoor swimming pool and sauna. Free Wi-Fi and free parking is available. All rooms are equipped with cable TV and minibar. Some rooms also feature a separate seating area and fireplace. Guests can enjoy a complimentary colonial breakfast each morning. Meissner-Hof offers a variety of leisure facilities. Guests can work out in the gym or play a tennis match. There is also a games room and mini golf available. Souvenirs and presents can be bought at the gift shop on site. Saint-Michel is a chalet-style hotel in the centre of the scenic town of Monte Verde. It offers spacious apartments with free Wi-Fi, 2 swimming pools, and pleasant countryside views. Rooms at the Saint-Michel Hotel feature classical décor and red carpeting. All have queen-size beds, private balconies and a fireplace. Superior rooms offer a private hot tub. Guests at the Saint-Michel can benefit from a daily breakfast buffet with tropical fruits, juices and pastries. For dining options, the hotel provides a lunch and dinner menu and is located within 800 metres of several dining options. The hotel offers free parking for guests with private transportation. Surrounded by a natural garden in Monte Verde, Pousada Palos Verdes offers comfortable alpine-style chalets with a balcony and modern amenities. It offers scenic views, a solar-heated outdoor pool and home-made breakfast. Wi-Fi is free. The chalets at the Palos Verdes hotel offer a warm atmosphere with a fireplace and a minibar. Some feature an LCD TV with 3 cable channels, spa bath, seating area and shower for 2 people. Room service is available. The buffet breakfast is served daily, and offers a rich selection of breads and fruits. This hotel is located 800 metres from Monte Verde’s centre, where visitors enjoy typical bars and restaurants. The hotel provides free parking. Fazenda Hotel Itapuá is an elegant ranch-style hotel with spacious private chalets in scenic Monte Verde. It offers an open-air hot tub with panoramic forest views, horse riding and a spa. The chalets at the Fazenda Hotel Itapuá have tasteful wooden interiors and modern facilities. All have a fireplace, TV and a private balcony with a hammock. Some feature a spa bath and a DVD player. 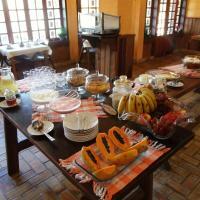 Guests at the Hotel Itapuá can benefit from a daily breakfast buffet with tropical fruits, juices and cakes. 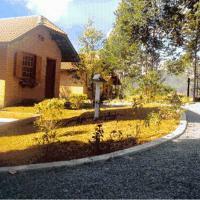 For dining options the hotel is only 3 km from the centre of Monte Verde. The hotel is conveniently located only 3 km from Monte Verde´s Airport. It offers free on site parking. The Hotel Pousada Boa Montanha is a pet friendly hotel in the scenic town of Monte Verde. Services include an outdoor pool, free parking, horse riding and mountain trail tours. Rooms at the Boa Montanha Hotel are spacious with colorful decoration. All are equipped with a fireplace, and a TV. Guests can enjoy a daily breakfast buffet with homemade cakes, yoghurts and cheeses. For dining options the hotel is located only 800 metres from several restaurants and bars. Pousada Alto offers spacious private chalets in the scenic region of Monte Verde, 1.7 km from the centre. It is surrounded by lush gardens and offers free on site parking. The chalets at the Pousada Alto De Monte Verde feature tasteful interiors with red brickwork walls. All offer a balcony and a fireplace and some offer a hot tub. In-room equipment also includes a DVD player, TV and minibar. Guests at the Pousada Alto De Monte Verde can enjoy a daily breakfast buffet with a variety of cold cuts, fruits and fresh cakes. The centre of Monte Verde offers a range restaurants and bars to choose from. Hotel Pião Mineiro is located in Serra da Mantiqueira, 1.5 km from Monte Verde´s centre. It offers chalets and suites with fireplace, an indoor pool and free Wi-Fi is available. The chalets and suites feature a cosy décor, all designed with a mixture of wood. They are equipped with cable TV and a dining area. All offer private balconies with forest view. Some chalets also have a spa bath. Dining options include an extensive buffet breakfast that is served in the restaurant. Guests can make us of the communal barbecue which is set in the garden. Pião Mineiro offers a tour desk that can arrange a variety of adventure activities. Guests can explore the city with a private tour guide, or relax in the on-site sauna. Free parking is available, when arriving by car. Situated in scenic Monte Verde, Refúgio Do Selado is a Swiss Alpine Chalet with panoramic rainforest views. It offers pleasant chalets with free Wi-Fi and parking, horse riding, and a sauna. Rooms at the Pousada Refúgio Do Selado have cheerful decoration with plenty of natural light. All rooms feature a private terrace and fireplace, while superior chalets have a private jacuzzi. A daily breakfast buffet with tropical fruits, fresh rolls and cakes is available daily. Guests can also make use of the barbecue facilities and pizza oven. The Refúgio Do Selado Pousada is conveniently located only 5 minutes drive from the centre of Monte Verde, where several restaurants, bars and leisure options are available. Sol Nascente offers comfortable chalets with alpine décor, fireplace and hot tub, just 1,5 km from Monte Verde´s centre. It features free Wi-Fi, Japanese bath and swimming pool. Guests at Pousada Sol Nascente get chalets with minibar, TV and DVD player. They display nice views of the garden, and some have a hot tub as well. Room service is available. It is possible to relax in the Japanese whirlpool bathtube for up to 4 people, or use the barbecue facilities in the garden. Buffet breakfast is another highlight, consisting of homemade breads and pastries, plus a variety of fruit. Sol Nascente is located in a green park 15 minutes by car from Pico Selado. The hotel provides free private parking on site. Only 700 metres from Monte Verde´s centre, Pousada do Bosque features alpine-style rooms with fireplace and panoramic mountain views. Amenities include satellite TV, swimming pool, free Wi-Fi and parking. With soft lightening and a warm décor, the accommodation comes fitted with wooden and stone finishing. It offers minibar and DVD player, seating area and private bathroom. Room service and 24-hour front desk are available too. At Pousada do Bosque, guests can enjoy a varied buffet breakfast with regional delicacies, such as homemade pastries, or watch a film while having refreshments in the cine cafe. Camanducaia is the nearest town with a bus station, 30 km from from Monte Verde. The second nearest town, Cambuí, is situated 46 km away. Peacefully located half a mile from the center of Monte Verde, Moinho Velho offers chalets with unique decoration and free Wi-Fi. Services include a pool with garden views and nature trails. 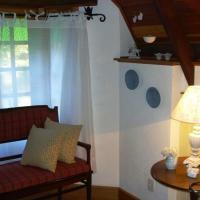 Accommodations at the Pousada Moinho Velho have classical decoration with pleasant, calming, colors. All are equipped with a TV and large mirrors, while some include a fireplace and private jacuzzi. Guests at the Moinho Velho can enjoy use of the hotel´s Japanese jacuzzi and sauna. 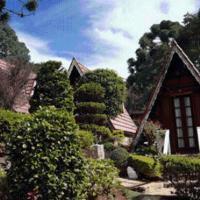 For nature-lovers, Monte Verde offers different trails around the area of the guesthouse. A breakfast buffet with fruit salad, yogurts, and homemade pies is served daily. Restaurants and bars are a short walk from Moinho Velho. The town of Monte Verde offers several additional restaurants, bars and recreation options. Free parking is available. Boasting spectacular views of Serra da Mantiqueira Mountain, this hotel features accommodation with balcony and fireplace just 350 metres from Monte Verde centre. Wi-Fi and parking are free. All suites and chalets at Cantinho de Monte Verde are equipped with heating, cable TV and minibar, while some also include a spa bath. Room service is available. Guests enjoy a rich buffet breakfast with homemade cakes and jams, plus a variety of fresh fruits and juices. Pousada Cantinho de Monte Verde is located within a 3-minute walk from a bus stop and Chácara Adélia Park. Monte Verde Airport is a 3-minute drive away. Spa Mirante da Colyna is located into Monte Verde’s green surroundings, 2 km away from the airport. The indoor pool, spa and luxurious wide interiors offer a relaxing experience. With a warm décor, the rooms feature a fireplace with seating area, minibar and cable TV. A private bathroom is also available. Guests can relax at the spa centre or at the high-end TV room. Pousada Spa Mirante da Colyna also features pool tables, right next to the bar and restaurant. The restaurant offers a contemporary cuisine, along with fondue and soups. A rich selection of breads, cold cuts and fresh juices is available at the buffet breakfast. This hotel is located 500 m from ice-skating facilities and Monte Verde Avenue, which is the main avenue of the area. This luxurious hotel features lavish country suites in the center of peaceful Monte Verde. It offers a spa with a pool and gym, traditional Swiss cuisine and free Wi-Fi. The cozy suites at Kuriuwa Hotel have fine hardwood floors and comfortable seating areas with fireplaces and an LCD TV and DVD player. All have a private terrace, while some have an in-room jacuzzi tub. Guests at Kuriuwa Hotel can inquire at the tour desk regarding guided forest tours. They can then relax afterwards with a massage or facial at the spa, or use the sauna. The restaurant serves traditional cheese fondue and features an extensive fine wine list, and offers a handy room service option. A breakfast buffet is served, and guests can enjoy hot chocolate at the bar. Kuriuwa is one mile from Monte Verde Airport, and 21 miles from Cachoeira dos Pretos. It offers free parking. Opposite the lush hillsides near Monte Verde centre, this comfortable villa is surrounded by flowering gardens and scenic nature trails. It offers a pool with sun terrace and free Wi-Fi. Rooms at Pousada da Trilha have scenic mountain views, a cosy brickwork fireplace with chimney and tiled floors. All are equipped with a TV, central heating and minibar, plus a private bathroom. Guests at Trilha Pousada can enjoy a homemade breakfast with seasonal fruits, natural juices and freshly baked breads. This can be enjoyed in the hotel´s leisure area with views and a fireplace. Pousada da Trilha is 500 metres from Monte Verde city centre. It offers free parking. Featuring cosy rooms with fireplace, Pousada Aconchego offers a rich homemade breakfast and free parking. It is located in Monte Verde centre, 1 km from charming shops and restaurants. With wooden floors and neutral colours, the accommodation is surrounded by patches of green lawn. It provides a TV, minibar and DVD player. Breakfast is served buffet-style in a casual room with brick wall fittings. It includes a large variety of regional cakes and pastries, such as sweet corn muffin. Aconchego guest house is located just 30 metres from Monte Verde Bus Station, within walking distance from local shops. Pretos Waterfall is 37 km away. Ideally located, the Esquilo Hotel is just 800 metres from the touristic centre of Monte Verde. It features an indoor heated pool, as well as a sun terrace, a hot tub and a tennis court. Wi-Fi is free. The spacious rooms at Esquilo Hotel have honey-wood paneled interiors with country-style furniture and floral décor. All are equipped with cable TV and fireplaces, while some feature a balcony. Guests can enjoy a delicious breakfast with seasonal fruits and fresh chocolate cake, served in the charming winter garden and terrace. The restaurant and bar serves regional specialities and fine wines. Guests can play a game of billiards or table tennis in the games room and children are provided with a playground. La Roccella is located 5 km from Monte Verde’s centre, in Minas Gerais. It features 5 massage rooms, fitness centre, outdoor and indoor pools. Wi-Fi and parking are free. This hotel offers rooms with electric heating. They feature TV, bed linen and private bathroom with shower. Guests can enjoy a fine selection of cakes, breads and fruits at the buffet breakfast. A luxurious restaurant is also available, boasting a warm décor surrounded by timber furniture. Hotel La Roccella features an indoor pool filled with mineral water from the mountain and an outdoor pool with sunloungers. A hot tub for 6 people is also available. Guests can relax in the 3 living rooms, which offer a beautiful panoramic view of the green surroundings. Some living rooms feature a TV, DVD and a fireplace. A game-room is also available. This hotel is located 30 km from Camanducaia Bus Station, and just 5 km to ice skating facilities. The Pedra Redonda trail is just a 90-minute walk from the hotel. Un prépaiement par virement bancaire est nécessaire afin de garantir votre réservation. La maison d'hôtes vous contactera peu de temps après votre réservation afin de vous communiquer ses coordonnées bancaires et les instructions relatives au virement. Surrounded by a wide garden, in Monte Verde’s valley, Pousada Ahavanoah offers a stylish pool, sauna and a fitness centre. All rooms feature a hot tub and flat-screen TV. Wi-Fi and parking are free. The heated rooms boast a tastefully rustic décor with timber furniture and a fireplace. All feature a hot tub and dining table for 2 people, a minibar and DVD player. Some rooms offer a living room, mezzanine and garden views from the bay window. Every morning, guests can enjoy the buffet breakfast, or order from an à la carte menu. The Pousada Ahavanoah hotel also offers a fine selection of wines. The cosy living room with a fireplace sets a warm atmosphere, and features an array of table games. The front desk is available 24 hours a day. This hotel is 1.7 km from a vibrant area of bars and restaurants. Monte Verde Airport is 3 km from the hotel, and the Cachoeira dos Pretos waterfall is 32 km away. Located in a fashionable Monte Verde area, Excalibur Chalés offers buffet breakfast and heated chalets with room service and internet connection. Free private parking and a 24-hour front desk are available. Surrounded by a beautiful green garden, the chalets boast a tastefully rustic décor with dark timber furniture. They feature a fireplace, minibar and cable TV. A private bathroom is also available. The Excalibur Chalés hotel is just 500 metres from Monte Verde’s centre. Guests can also visit the popular Pedra Partida and Pedra Redonda attractions, which are only accessible on foot. Surrounded by mountains, Caminhos do Sol is located in Monte Verde and features a mini-farm, buffet breakfast and free parking. The 24-hour front desk arranges housekeeping services and all rooms have a minibar. Set in a green garden, the charming chalets at Chalés Caminho do Sol offer a tastefully rustic décor. They feature a fireplace, TV and dining area. The patio that boasts scenic views of the natural surroundings. This pet-friendly hotel is 7 km from Monte Verde’s centre. The Cachoeira dos Pretos waterfall is 40 km away, and Camanducai City Centre can be reached within 30 km. Located 900 metres from Monte Verde’s centre, Pousada Girassol offers a buffet breakfast, housekeeping services and free Wi-Fi. Several table games and a TV are available in the living room. The rooms at the Girassol hotel offer a colonial-style décor with a cosy fireplace. All feature a TV, minibar and a private bathroom with a shower. The local market can be reached within a 5-minute walk, and Monte Verde Airport is only 1.000 metres away. Camanducaia City Centre is 32 km from the hotel. The front desk is available 24 hours a day. Featuring a hot tub and chalets with a fireplace, Grunwald Chalés sits on a mountaintop, within Monte Verde’s green surroundings. It offers breakfast baskets and housekeeping services. Wi-Fi and parking are free. The chalets at Grunwald hotel feature a warm rustic atmosphere, and offer a TV, dining area and private bathroom. A kitchen with a stove is also available. Guests can enjoy 5 different hiking trails nearby this pet-friendly hotel. Monte Verde Airport is 3 miles away, and Monte Verde City Center can be reached within 2 miles. The front desk is available 24 hours a day. Surrounded by a grove with a rich flora, Austria Hotel offers an indoor pool, hot tub and sauna. Guests can enjoy breakfast with breads and fruits. Room service and free Wi-Fi are available. The heated accommodations offer a rustically elegant décor and scenic grove views. All feature a minibar and a cable TV with DVD channels. Some have a balcony, bath tub and fireplace. Orquidário Botanical Garden is 100 metres away, and Monte Verde Airport can be reached within a 12-minute walk. Adélia Cultural Area is 300 metres from Hotel Austria, and Monte Verde Centre is 900 metres away. For guests leisure a game-room and children’s playground are available. The hotel features a conventional 24-hour reception and private parking is free. With an outdoor pool, Pousada Pucci is 400 metres from Monte Verde Airport. It offers heated accommodations with housekeeping, room service and garden views. Wi-Fi is free. Featuring a TV, minibar and private bathroom, the accommodations boast either a tastefully rustic of a luxurious décor. Some are equipped with a spa bath, fireplace and a kitchenette with a stove. This guesthouse serves a daily buffet breakfast in a rustic dining area. Guests can enjoy a 10% discount at the Pucci Restaurant, which is 800 metres away. The Pedra Partida and Pedra Redonda landmarks can both be reached within a 17-minute drive. Monte Verde Airport is just 400 metres away. Private parking is free. Just 200 metres from Monte Verde Centre, this guesthouse is surrounded by the garden. It offers rooms with a fireplace, a pool table and daily buffet breakfast. Wi-Fi and parking are free. Alas De La Sierra offers rustic rooms with a minibar, thermal blanket and a TV with a DVD player. Some feature a plasma TV and breakfast in the roomh. A DVD library is available to guests. Camanducaia Bus Station is 34 km from this guesthouse. An area full of bars and restaurants is 150 metres away. 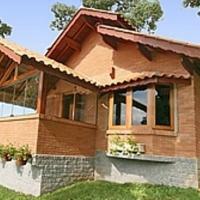 Set in a gorgeous park, Jardim das Montanhas features charming chalets with a fireplace and free Wi-Fi. Its relaxation facility includes an indoor pool, sauna, fitness and Japanese hot tub. Chalets provide a balcony or patio with views of the surrounding woods. Their amenities include a TV, minibar, telephone and sofa. Buffet breakfast is served in a pleasant room with wide glass windows. It offers a variety of fresh fruits, yogurt, artisan breads and cakes. Galeria Oak Plaza shopping mall is 900 metres from Pousada Jardim das Montanhas. Galeria Inverness shopping mall is 1.2 km away. Monte Verde Airport can be reached in a 5-minute drive. Cosy chalets with a fireplace and free Wi-Fi are featured at Pousada Grayaca. It offers an outdoor pool with panoramic views of Monte Verde, plus a large hot tub and homemade breakfast. The chalets at Pousada Grayaca have a warm touch of colour and wooden ceilings. Amenities include a TV, minibar and telephone. Some chalets also feature a hot tub for 2 people. Breakfast is available with artisan breads, cakes and jams. It also includes the traditional cheese bread from Minas Gerais. 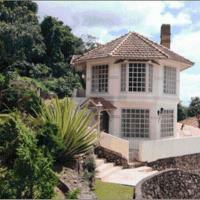 This guest house is located 800 metres from Monte Verde centre and only 50 metres from the Orquidário orchid nursery. Monte Verde Airport can be reached in 5 minutes by car. Just 500 metres from Monte Verde centre, Pousada Suíça Mineira is set on a paved road and offers rooms with a fireplace, free Wi-Fi and a daily buffet breakfast. Restaurants, bars and shops can be found within walking distance. 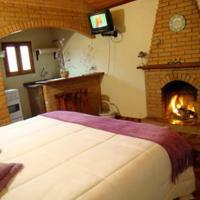 The rooms at Suíça Mineira feature a fireplace or boast a hot tub and a separate living area. Other rooms may offer both, in addition to a seating area. They are tastefully styled and contain an LCD TV with cable, a minibar and a bathroom. Guests can enjoy a buffet breakfast each morning in the breakfast room. It includes a variety of fresh fruits, breads and cold meats, as well as a selection of hot and cold drinks. Surrounded by beautiful pine trees in the Monte Verde area, Ana Terra features an outdoor pool, fitness centre, hot tub and sauna. Its chalets offer a fireplace and free Wi-Fi. A rich breakfast is available. The cosy chalets are all well equipped with satellite TV, a DVD player, telephone and minibar. Some also feature an extra TV set and 2 fireplaces, while others have a hot tub for 2 people, CD player and radio. Monte Verde town centre is only 1.5 km from Pousada Ana Terra. The rocks of Pedra do Bispo, Pedra Partida and Chapéu do Bispo are 3.5 km away. Surrounded by Monte Verde green landscapes, just 950 metres from downtown, Recanto da Natureza offers bungalows with a fireplace. It offers a daily buffet breakfast, free Wi-Fi and free private parking. With a TV, minibar and private bathroom, all bungalows boast a tastefully rustic décor with timber furniture. Some feature a spa bath, while others include a fully-equipped kitchen. The pet-friendly Pousada Recanto da Natureza is just 200 metres from Monte Verde bus station, 900 metres from its airport. The Chácara Adelha and Mirante attractions are 1.000 metres away. Featuring a natural swimming pool, Pousada das Montanhas is surrounded by the beautiful green landscape of Monte Verde. It offers buffet breakfast, a gym, sauna and games area. The pleasant chalets at Pousada das Montanhas have a patio or balcony with views of the forest. Their amenities include a TV, DVD player and minibar. Monte Verde town centre is only 1.2 km from this chalet complex, with bars, restaurants and shops. The rocks of Pedra do Chapéu do Bispo, Pedra Partida and Pedra Redonda are 3 km away. Camanducaia Bus Station is 3.6 km from the chalets. Just 300 metres from Siriema Waterfall, Pousada das Hortências is 800 metres from Monte Verde town centre, It features a pool surrounded by gardens, breakfast, free Wi-Fi and a games area. Located in a prime area, the accommodation at Pousada das Hortênsias includes a fireplace, TV, and minibar. Some rooms have also a balcony, seating area and hot tub. The popular attraction Pedra Redonda Rock is 4 km from this guest house. The gastronomy area on Monte Verde Avenue and the Trilha da Pedra do Platô hiking trail are both 800 metres away. Doté d'une terrasse offrant une vue sur la forêt, l'établissement Alive Eco Hut Pousada propose des logements avec une cheminée et des lits king-size. Vous pourrez vous détendre dans le salon luxueux et prendre votre petit-déjeuner au restaurant. Toutes les chambres comprennent une salle de bains privative, tandis que certaines disposent d'une baignoire spa ou d'un bain à remous. Certaines chambres plus spacieuses offrent une vue panoramique sur les environs de Monte Verde. L'établissement Alive Eco Hut Pousada se situe à 3,5 km de l'aéroport et du centre-ville de Monte Verde. La gare routière de la ville est à 4 km. Un parking privé est à votre disposition gratuitement sur place. Hotel Ninho do Falcão offers beautiful views of Monte Verde mountains and is located only 6 minutes’ walk from the city centre. Features include a buffet breakfast in its panoramic restaurant, indoor swimming pool and sun terrace. Ninho do Falcão has a dry sauna, bar and a game room with billiards. Free Wi-Fi is provided in all public areas. Guests can also use the fitness centre and the hotel’s private parking. All spacious hotel rooms have heating, cable TV and minibar. The private bathroom features a half-size bathtub. The staff is available 24 hours and can provide information on local activities. Hiking and ice-skating amenities are found in Monte Verde Centre. Camanducaia Bus Terminal and its city centre is 30 km away. Celeiro Shopping Centre is 10 minutes' drive away. Entouré de jardins avec une piscine, le Cantinho da Raposa se trouve à 1 km de l'aéroport de Monte Verde. Il comprend une piscine, un sauna et une salle de sport. Le restaurant de l'établissement sert un petit-déjeuner. Un service d'étage est par ailleurs assuré. Une connexion Wi-Fi est disponible moyennant des frais supplémentaires. Décorées avec goût dans un style rustique, toutes les chambres comprennent une cheminée, la télévision par câble, un minibar et une salle de bains privative. Certaines d'entre elles possèdent une baignoire spa, une douche écossaise et un balcon avec vue sur le jardin. Le Pousada O Cantinho da Raposa se situe à 1,2 km du centre de Monte Verde et à 1 km du belvédère de Mirante. Vous rejoindrez le centre-ville de São Paulo en moins de 2 heures et demie de route et bénéficierez d'un parking privé gratuit sur place. Just 2 km from Monte Verde centre, Flores da Serra features chalets with balcony surrounded by green gardens. It offers free Wi-Fi, room service and buffet breakfast with breads, cakes and fruits. Featuring a fireplace, minibar and a cable LCD TV with a DVD player, all chalets offer a rustic décor. Some include a spa bath. Pousada Flores da Serra is just 2 blocks from Monte Verde Airport, and a 5-minute drive from Roda d’Água waterfall. Private parking is free. Boasting panoramic garden views from the terrace, Ágape features an outdoor pool with cascade. Just a 3-minute drive from Monte Verde centre, it offers a daily buffet breakfast and free Wi-Fi. With a balcony and garden views, these chalets feature a fireplace, minibar and a satellite TV with a DVD player. All are furnished with wooden floors and some include a spa bath. Pousada Ágape is a 3-minute drive from Quatro Estações shopping centre, and a 5-minute drive from Monte Verde bus station. Private parking is free. Pousada Floema de Amor is located 11 km from Monte Verde centre and features a daily breakfast buffet. It offers chalets with a fireplace and provides free private parking. Featuring mountain and garden views, all chalets at Floema de Amor contain a TV and a minibar. They are simply decorated and provide a private bathroom, bed linen and bath towels. Guests can enjoy a buffet breakfast each morning in the breakfast room. It includes a variety of fresh fruits, breads and cold meats, as well as a selection of hot and cold drinks. Camanducaia centre and Pretos Waterfall in Joanópolis are both approximately 20 km away. Surrounded by beautiful gardens, A Casinha Pequenina is located 500 metres from Monte Verde’s historical centre. It offers accommodation with homemade breakfast and free Wi-Fi. Rooms and chalets are fitted with a simple bathroom and rustic-style interiors. Amenities include a fireplace and a TV and suites provide a minibar. Guests can enjoy a daily breakfast until noon in Lua de Mel Bakery that is 2 blocks away. It includes a variety of fruits, breads, cakes and cold meats, as well as a selection of hot and cold drinks. Monte Verde Airport is 400 metres away and Camanducaia centre is 30 km away.